Years ago, prominent Calgary entrepreneur Arlene Dickinson approached Sunterra about opening a market adjacent to the District Ventures offices in West Hillhurst. After a lot of ideas, a few setbacks and tons of work, that market is set to open the first week of March. I’m sitting in a boardroom at Sunterra Market’s head office with President Glen Price. He’s slipped out of a meeting to chat with me, bringing blueprints of the new market in one hand and his cellphone in the other. As he urgently types out the last few words of an email, I begin with the most obvious question I can think of: why open a market on Kensington Road? “We think it’ll be a great addition to the community,” says Glen. 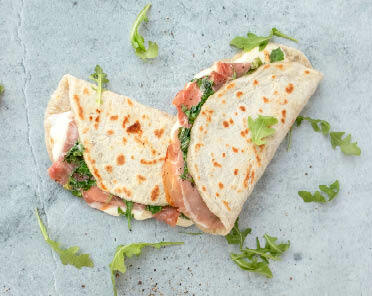 The café-style market is open for breakfast, lunch and dinner seven days a week with dine in and takeout options. Plus its location at the corner of Crowchild Trail and Memorial Drive is really easy to get to. But it also makes sense to connect with entrepreneurs in the District Ventures business accelerator program, of which Arlene is CEO, Glen says. He’s a panelist on demo day where members pitch their businesses to investors and influencers and Sunterra already carries several products from the program. Calgary Heritage Roasting Company coffee, Drizzle honey, Zazubean chocolate, Sweetsmith candy, Suzie’s Good Fats bars and Torill’s Table waffle mixes? All graduates. “I think Arlene has always seen Sunterra as being a progressive and innovative agri-food business that’s local, Albertan, Canadian – things she’s very passionate about,” says Glen. “So she’s seen us succeed in a way that she hopes the other startups will embrace." The Kensington Road market has space reserved to sell select products from District Ventures members and may add more as new businesses join, Glen says. 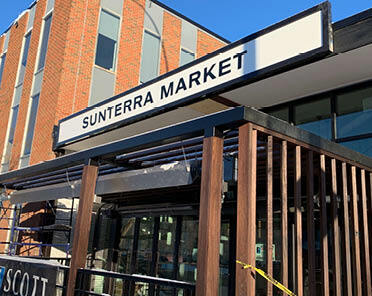 But unlike other Sunterra Market locations outside of downtown, this new market has limited grocery products available. Instead the attention is very much on hot food from the kitchen. The menu is inspired by a Team Member trip to Italy in 2017. It’s filled with fresh pasta, piadina flatbread sandwiches, freshly baked pastries and an espresso focused coffee bar along with rotisserie chicken, hot carved meats, soups, snacks, grab and go meals, beer and wine. Of course you’ll also find Soleterra d’Italia products on the menu and the store shelves; the cooked and cured Italian meats company has been growing since it first hit Sunterra’s shelves three years ago and its hams and salamis are now processed in Acme, Alberta. “The market is a great reflection of what we can do with local products,”Glen says. “We’ve got world-class local products, but we’re also not afraid of bringing in some imported products that are the best in the world. ”Like Italy’s favourite coffee, for example. 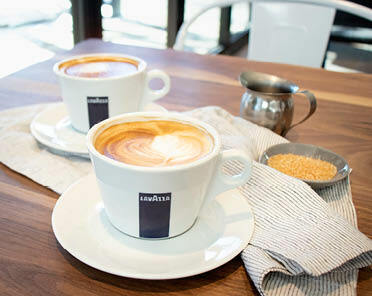 Headquartered in Torino, Italy, Lavazza is a fourth-generation family owned coffee company with consistently smooth and delicious espresso. That espresso is the base for most of the coffee bar menu including specialty drinks like espresso macchiato, espresso Torinese and blended espresso crème. The coffee, like the rest of the market, is designed to be an Italian-style social experience where customers are encouraged to sit down, take a breather and enjoy.